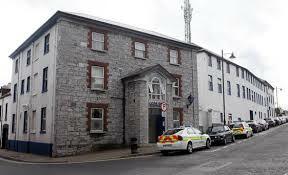 Sligo gardai have been ordered to return to the local garda station on Pearse Road from which officers walked out last week citing concerns about health and the safety of the building. Senior garda management has told the protesting members that inspections by fire services, the HSA and OPW have shown that the structure complies with statutory requirements. 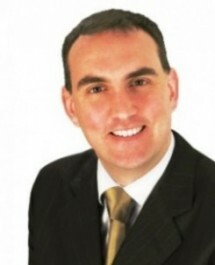 Marc MacSharry, TD, Fianna Fail. Fianna Fail TD Marc MacSharry said he had been informed that a tender for the refurbishment of Sligo Garda Station had been issued and works on the building would be complete by the end of September next year. “For two years, I have been calling on the Minister for Justice to outline a timeline for the provision of a new building following a Government commitment back in 2015. Since then there has been virtually no movement on securing a site for the new station and conditions at the Pearse Road building have led to officers staging a protest. “This hands-off approach continued . . . when Minister Charlie Flanagan, despite assuring me in the Dáil that he would be ‘happy to engage’ with me on the issue, subsequently told me that it wasn’t his responsibility to secure a site. “This constant passing of the buck has to stop. On the one hand, we have a Transport Minister who has secured a commitment on the reopening of a south Dublin Garda station, while on the other we have a Justice Minister who is completely disinterested in the health and safety of officers who are working out of a condemned regional and divisional headquarters in Sligo. “. . .I questioned the head of HR with An Garda Síochána John Barrett in the Public Accounts Committee about the situation at the station; he confirmed that tenders for €1.25m for the refurbishment of the existing station are due in December and that works are to be completed by the 30th September 2018. He also stated that procurement of the preferred site of the new station beside Summerhill College should continue in tandem with the refurbishment process. “I would like confirmation from the Justice Minister that this process will be proceeding as outlined by John Barrett this morning. The status quo is not an option,” he added. Protesting gardai ordered to resume operations in building. Sligo-Leitrim has four TDs, Martin Kenny, Sinn Fein, Tony McLoughlin, Fine Gael and Fianna Fail deputies Marc MacSharry and Eamon Scanlon. 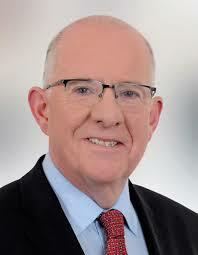 Scanlon is the Fianna Fail party spokesman for business and job creation.